excelent 2 x CD BOX, ltd. 120 copies. Info: “Basement” is dark wave/ambient release revolving around variations of a central musical theme. As the album progresses, the melodies become less apparent and the tone of the songs becomes darker and more abstract. Varied yet coherent, a part of the story is told by each individual track, culminating in the auditive equivalent of a short horror story. 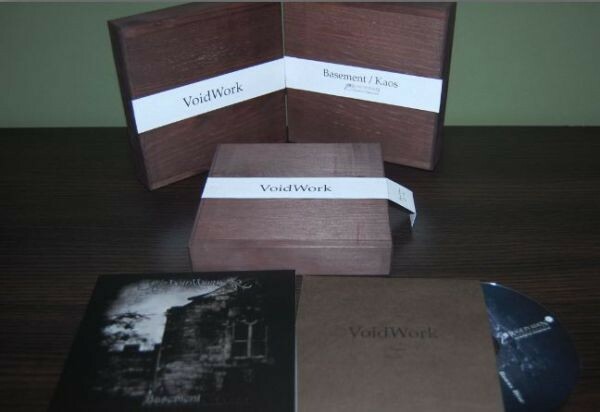 Customer evaluation for "VOIDWORK – Basement/Kaos 2CD BOX (Lim120)"